I recently purchased this incredible tool . 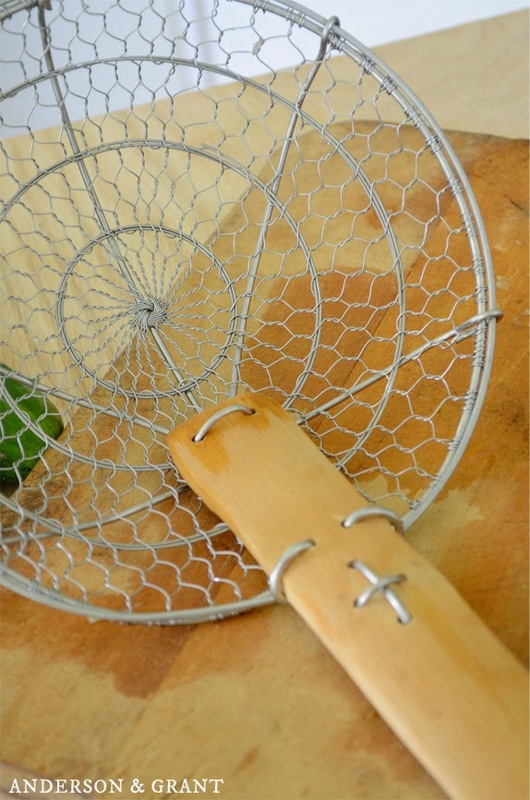 It has a couple of different names....Kitchen spider, Chinese strainer, bamboo strainer, wok skimmer. 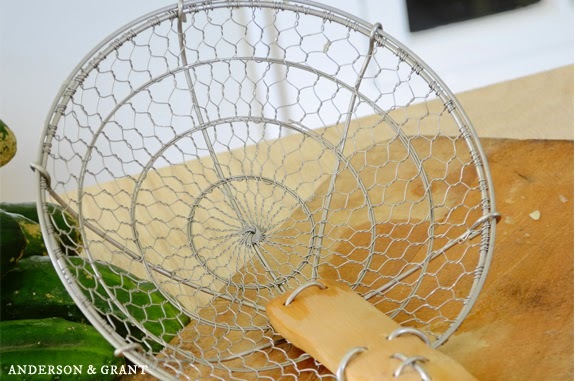 Whatever the name, it is an incredibly useful utensil to have in the kitchen. I used it the other day when I was making sauteed cucumbers. It was so much easier to remove the cucumbers straight from the boiling water with the strainer and add them to the pan of butter. Otherwise, I would have needed to get the large colander out of the cupboard, put it into the sink, dump one cut up cucumber into the colander, then dump the colander into the pan of butter. OK. I admit it is still not a hard job, but it was a lot less steps to use the bamboo strainer! 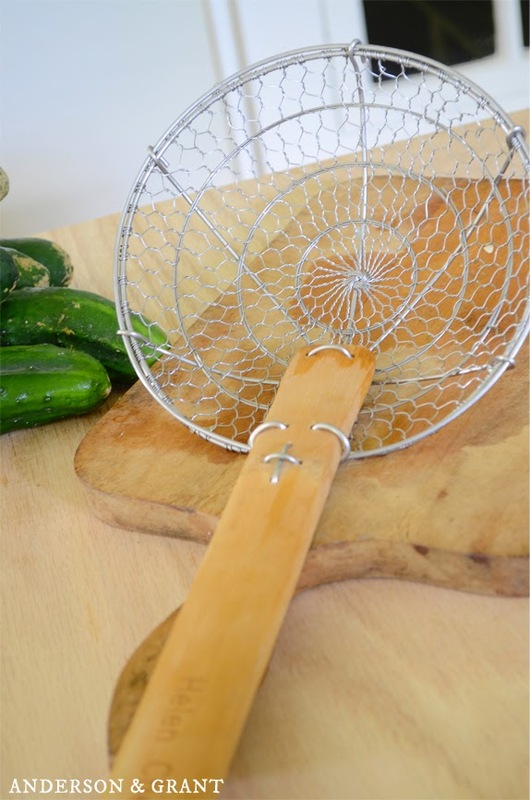 This strainer can also be used when deep frying, removing pasta from water, and cooking Chinese food in a wok, among other things. They come in different sizes ranging from four inch to 12 inches. If you would like one of these tools for yourself, they are available here .